Today, the office received an update from the MBTA on Commuter Rail Projects. 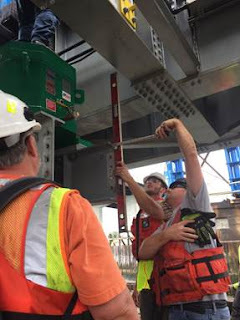 Here is their press release: BOSTON – As the work to replace the Beverly Drawbridge is about to finish on schedule with weekday train service resuming on Monday August 14, interim MBTA General Manager Steve Poftak will visit several job sites this weekend where crews continue infrastructure improvement work throughout the transit system. To accommodate this critical work, five separate bus shuttles will replace rail service for various reasons, including the replacement of a 120-year old railroad drawbridge in Beverly, the installation of federally mandated Positive Train Control (PTC) infrastructure along the Newburyport/Rockport and Lowell Commuter Rail Lines, necessary core infrastructure capital project work on the Orange Line, and work being performed as part of MassDOT’s Commonwealth Avenue Bridge Project. 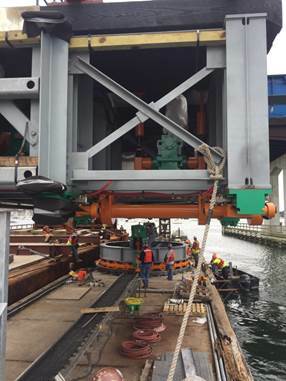 GM Poftak will visit the Beverly Drawbridge Replacement Project, which is on schedule and nearing completion. 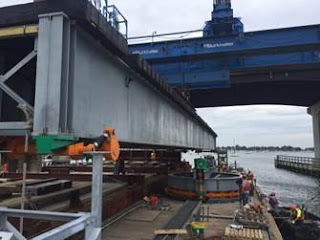 A 28-day shutdown of all Newburyport/Rockport Line service north of Salem was required in order to replace the swing-span bridge in Beverly and conduct follow-up alignment and testing work, which will result in more reliable Newburyport/Rockport Line service. Due to this service shutdown, the MBTA began accommodating its customers on July 17 with replacement shuttle bus service to all stations with regular weekday train service resuming as planned and advertised on Monday, August 14. GM Poftak will also visit sites of federally mandated PTC work currently taking place on weekends along the Newburyport/Rockport Line. PTC is a safety system that prevents train-to-train collisions, over-speed derailments, and human error. This work has replaced weekend Newburyport/Rockport Commuter Rail service with shuttle buses beginning July 8 through September 30 and will begin replacing all Lowell Commuter Rail Line service along the entire line beginning August 5 through October 1. More information on these projects can be found at mbta.com/getthere.